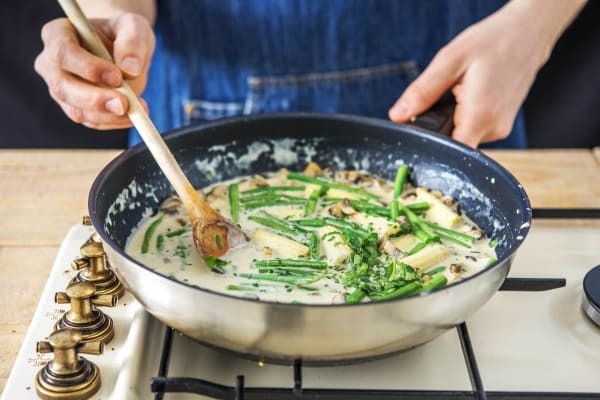 We’ve tried our fair share of curry recipes in the HelloFresh development kitchen, but this stand-out veggie showstopper left us reaching for seconds... and thirds. 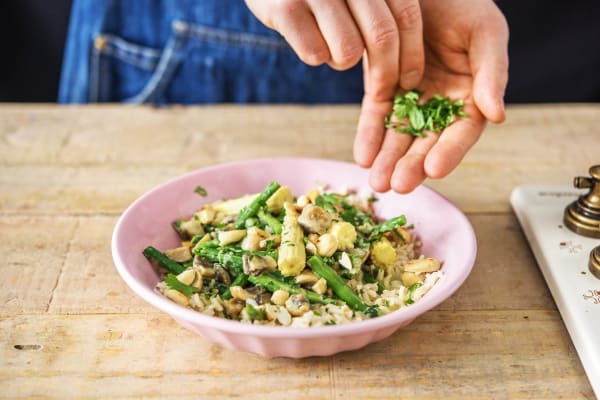 Packed with vibrant vegetables, topped with fresh coriander and crunchy toasted cashews, and served on a bed of brown rice, it’s hard to decide which part we love most about it. For a curry that will nourish you from the inside out, this recipe is a no-brainer. Put a large saucepan of water with a pinch of salt on to boil for the rice. 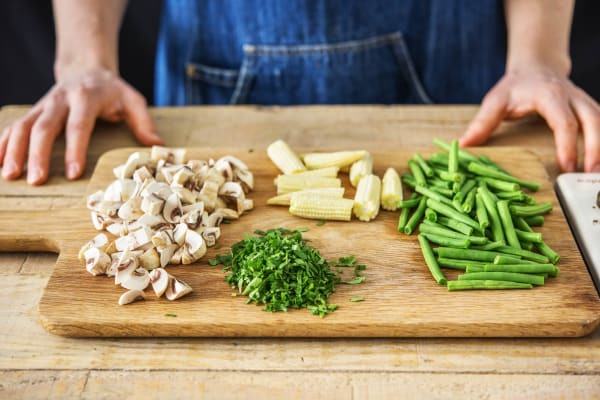 While it comes to the boil, trim the tops and bottoms from the green beans, then cut the green beans and the baby corn in half. Roughly chop the mushrooms. Roughly chop the coriander (stalks and all). 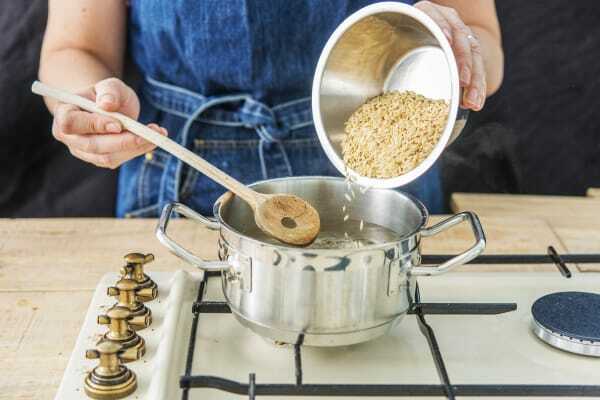 Thoroughly rinse your brown rice and stir into the rapidly boiling water. Cook for 25 mins and then drain. Tip: Whilst it cooks top up the pot with more water if you need to. Set hob to medium-high heat. 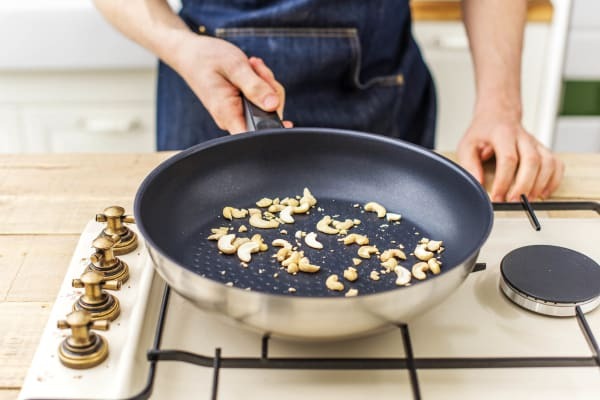 In a non-stick pan toast your cashew nuts. They take a few minutes to start browning off, but watch them like a hawk as they can quickly burn. Once they are toasted remove them and keep them to the side. 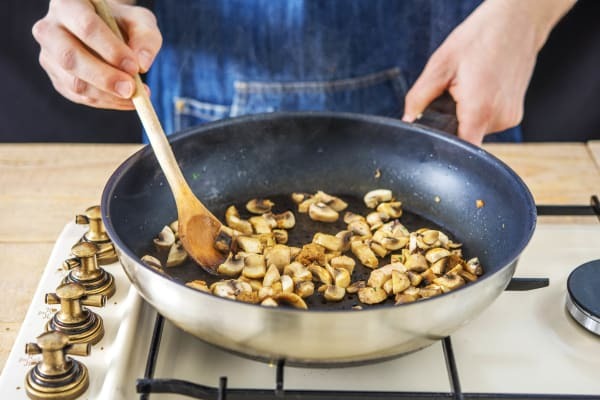 Reduce the heat to medium and add a drizzle of oil to your now empty frying pan. Add the mushrooms, along with a pinch of salt and pepper. Stir together and cook until starting to brown, 4-5 mins. Add the curry paste and cook for 1 minute more until it becomes fragrant (i.e. you can smell it!). TIP:If you prefer a mild curry you can use a little less as this curry paste is quite spicy! Stir in the coconut milk, reduce the heat to medium-low and leave to simmer gently for 15 mins. Once the curry has cooked for 15 mins, add in the green beans and baby corn. Continue to simmer for 5 mins. Both should have a little bit of bite left in them when they are cooked. Stir in three-quarters of the coriander. 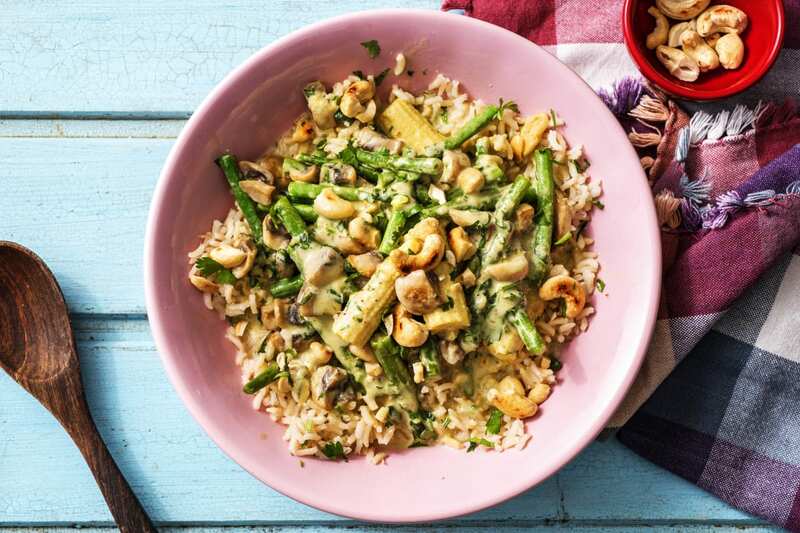 Serve the veggie curry on a bed of brown rice with the cashew nuts and remaining coriander sprinkled on top. Enjoy!